The Leopard is recognized for her seaworthiness and smooth handling. Excellent sea keeping, ample sunbathing and accommodation for 6 guests in 3 cabins.This is one-of-a-kind yacht with phenomenal looks, features andoutstanding performance to match it's sleek design.The interior is elegant and contemporary with stunning details throughout. A lovely boat that was all custom made by the owner and recently changed the living room and master suite. The Leopardhas the perfect balance between style and luxury. United Yacht Sales New Jersey would love to guide you through a personal showing of this 88' Leopard 1998. 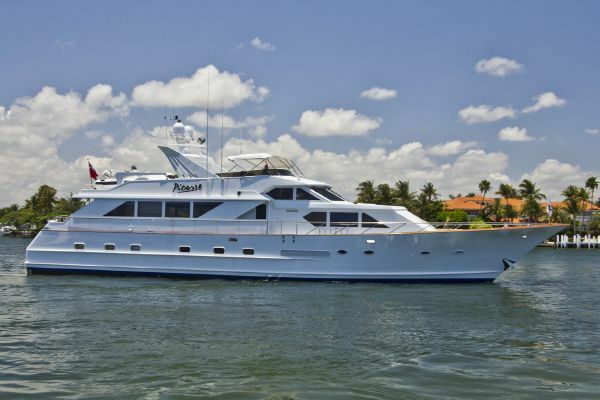 This yacht for sale is located in Unknown Cayman Islands and priced at $1,590,000. For a showing please contact us by filling out the form on this page and we will get back to you shortly!